Do I need to polish the paint on my new car? How can I keep the showroom shine? Is there anything I should avoid doing to ensure my new car looks great for years to come? There were 1,189,116 new cars sold in 2017. How many of those cars do you think still look like new? Surely, some of the 47,093 Toyota Hiluxs now have a bit of wear and tear. Maybe a lot of the 37,353 Toyota Corollas have not been washed weekly. It is probably safe to say that a lot of the 28,780 Hyundai i30s have not been kept undercover safe from bird droppings and tree sap. But then on the other hand, there were 32 Ferraris, 29 Porsches, 21 McLarens and even 12 Lamborghinis that were purchased in December 2017. Do you think they are still in pristine condition? If you love your prestige sports car, your new family SUV or even your practical Toyota Corolla and you want your car to be protected from oxidisation, scratching or stained finishes, now is the time to do some research and preventative maintenance to ensure your car looks great for years to come. To assist you, the following article will help you to learn the very best industry tips, tricks and techniques to protect your new car. But one of the biggest mistakes that new car owners make is that they wait too long until they clean their car. Your car has probably been manufactured in Asia, Europe or North America. It definitely was not manufactured in Australia. It was transported on a container ship across the Ocean and then stored in a manufacturer’s facility before being transported to a dealership. Car dealerships generally employ amateur car cleaners to keep the paintwork looking pristine in the showrooms, but do not properly clean them. They just dust them. This means that acidic chemicals that gradually erode the paintwork are covering your new car. If you wait until your new car ‘looks’ dirty, the damage has already been done. Wash your car, better yet, get a professional car detailer to wash your car properly, as soon as you can. There could be weeks, even months of chemical contaminants that need to be removed that are slowly eating away at the layer of paint on your car. It isn’t cheap, but it is pretty. Ceramic paint protection is a liquid polymer that is applied to the exterior of your cars paintwork. Acting like a protective clear coat, the paint protection binds to the paintwork and prevents UV, harsh chemicals and minor scratches from damaging your paint. If a vehicle is exposed to the sun, the paint will start to oxidise, which results in dull and faded paintwork like the majority of cars in a shopping centre car park. Ceramic paint protection prevents ultraviolet rays from penetrating to the layers of paint. Vehicles are constantly exposed to naturally occurring acidic contaminants that can damage the clear coat of your paintwork. Ceramic paint protection provides a rigid layer of protection that prevents chemical etching and stains. There have been many reports in Australia that show that purchasing new car paint protection from a dealership is not great value for money. A far more cost-effective option is to choose a local car paint specialist to apply premium quality paint protection for a fraction of the price. 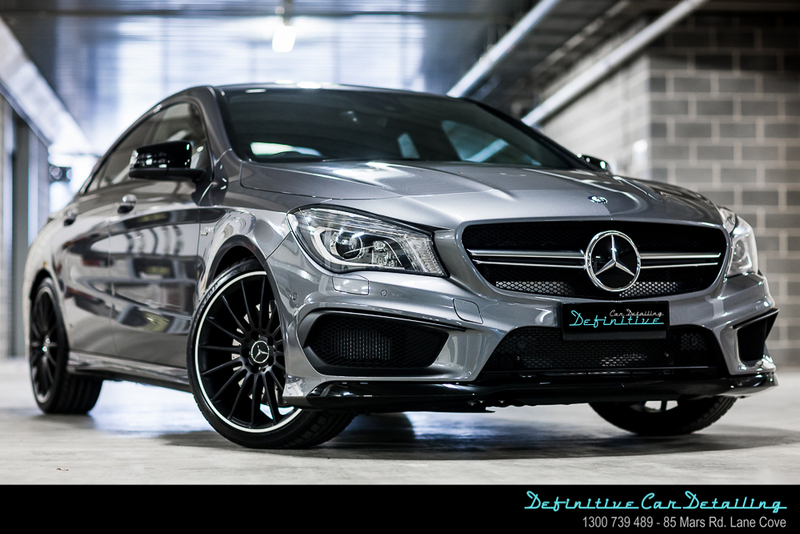 Definitive Car Detailing is one of Sydney’s leading prestige car detailers. With a massive base of satisfied customers throughout New South Wales and Sydney, Frank Su and the team at Definitive Car Detailing offer the highest quality paint protection treatments in the region. Using custom imported machinery and innovative inorganic silica glass coatings, Definitive Car Detailing provides a slick and polished finish that offers superior protection. With a unique double layer hybrid structure, Brila Liquid Glass comprises a hydrophobic coat and a silica glass coat that provides superb grime resistance efficiency. As Brila Liquid Glass permanently binds to the paintwork, it does not degrade over time as the extensively researched formulation does not contain any carbon or methyl. Definitive Car Detailing provides free pick up and drop off service, so having paint protection applied has never been easier. 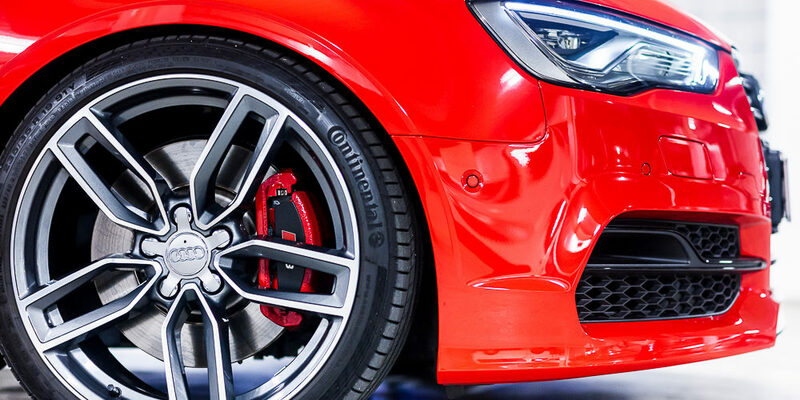 Book in your car for a treatment as soon as you take delivery of your car and enjoy the superior protection and excellent value for money that Definitive Car Detailing provides. What can you do to ensure that your car’s interior looks as good as your car’s exterior? Step 1 – Physical Protection – Seat covers and floor mats are your first form of physical protection. Whether you choose to use the manufacturer’s products, or you prefer a custom option, floor mats and seat covers are the best way to ensure the fabrics of your car stay fresh and clean. Step 2 – Chemical Protection – Even if your car windows have dark tinting, the number one enemy for your interior is UV rays. Using a UV protectant will ensure that your leather and carpet upholstery is adequately protected. Vinyl and plastic parts need to be protected as soon as possible to ensure that they do not disintegrate due to harsh sun exposure. Keep your car garaged whenever possible and wash and clean the interior and exterior of your car regularly. Lexus, BMW, Mercedes Benz, Audi, Infiniti, VW, Subaru, Skoda, Tesla, Jaguar, Bentley, Aston Martin, Maserati, McLaren, Mitsubishi, Land Rover, Alfa Romeo, Mazda, Renault, Citroen, Ford, HSV and Ducati motorbikes. What Do Customers Say About Definitive Car Detailing? If you love your new car, make sure it receives the maintenance it deserves. Whether you need paint protection, a proper detail or just a proper wax and polish, rely on Frank Su and the team at Definitive Car Detailing to provide expert advice and service.